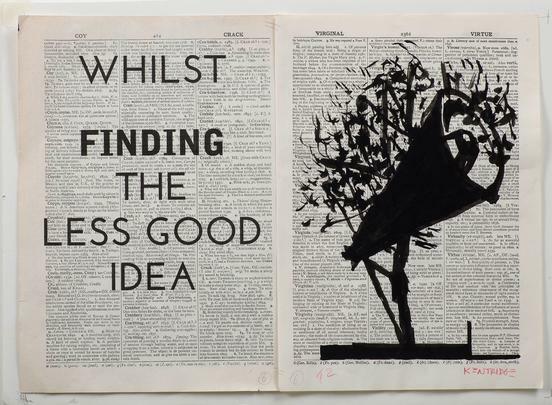 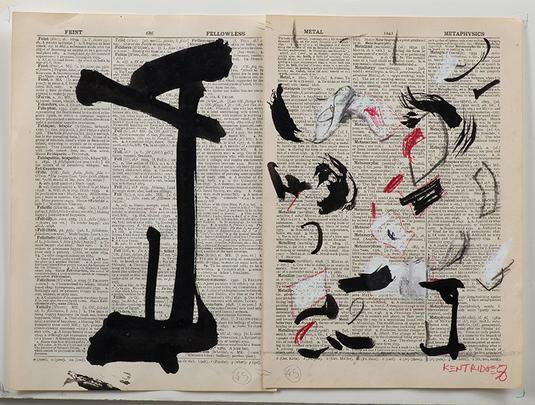 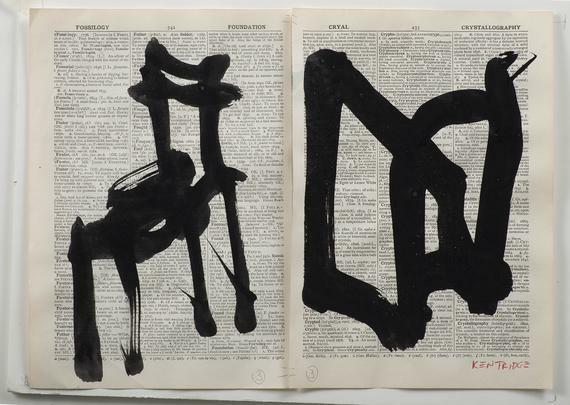 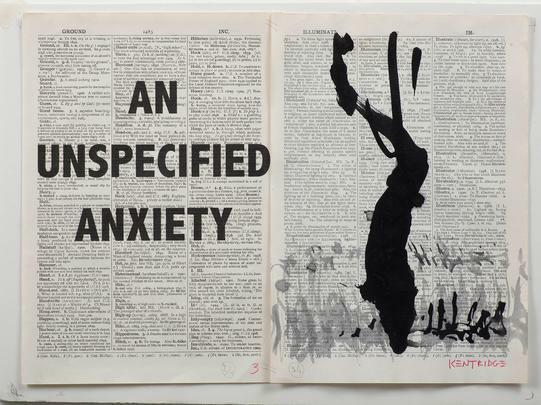 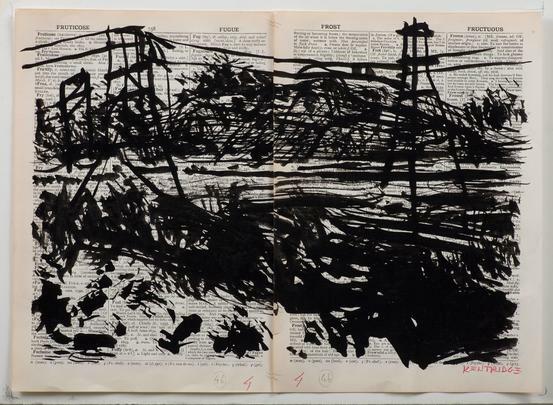 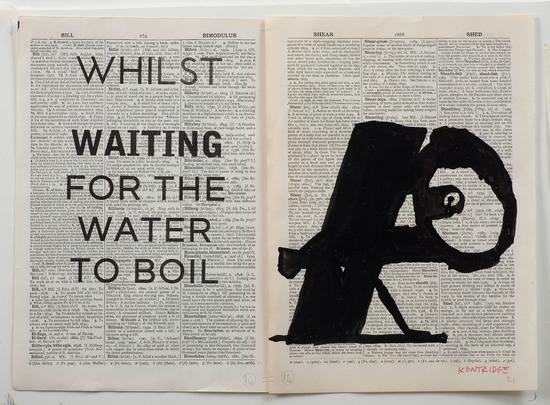 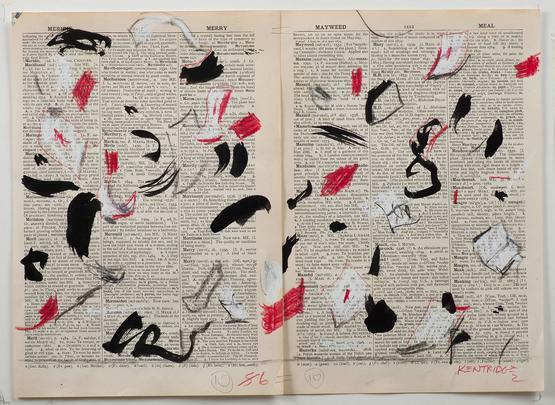 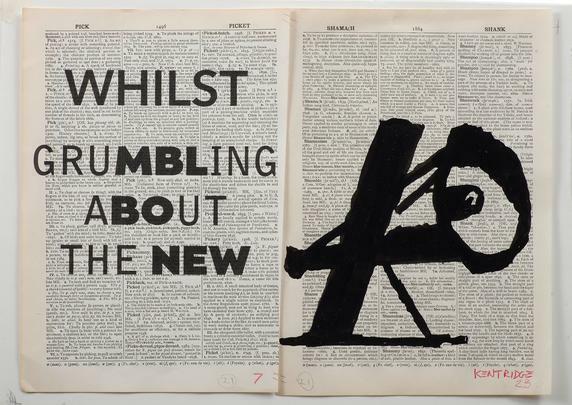 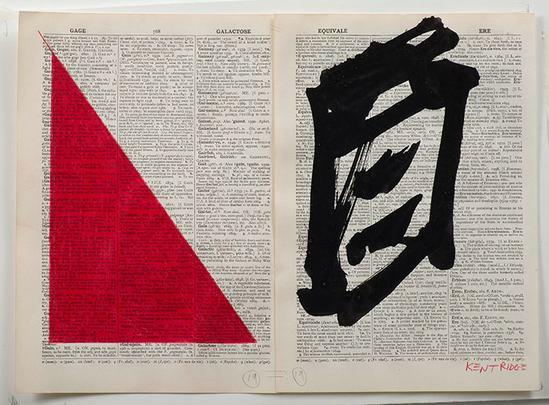 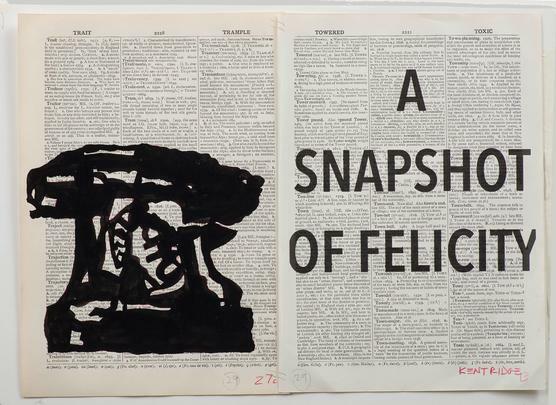 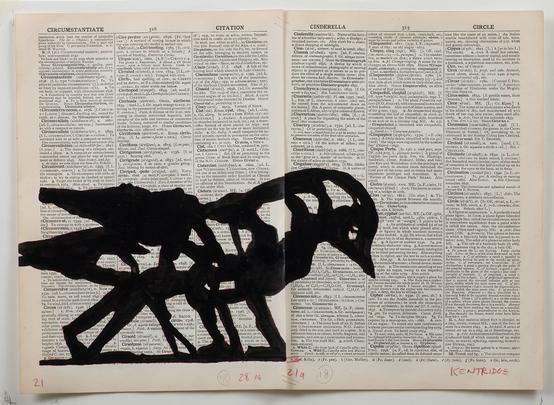 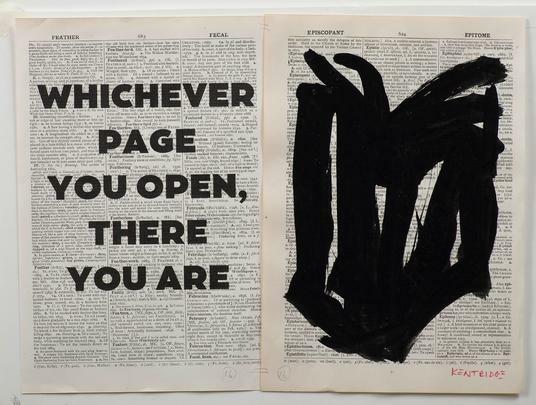 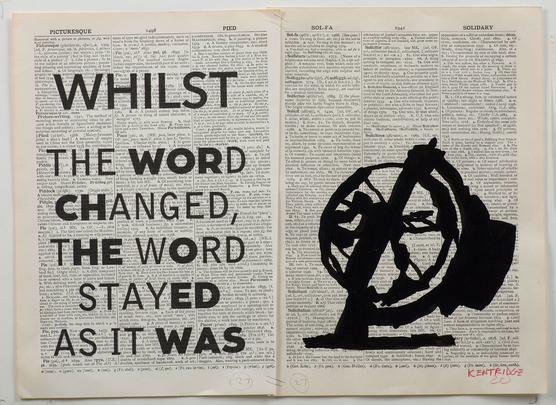 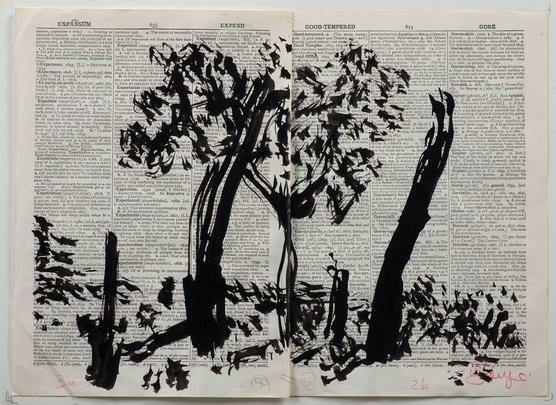 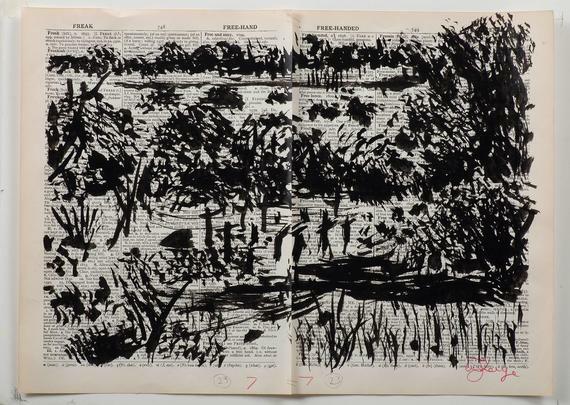 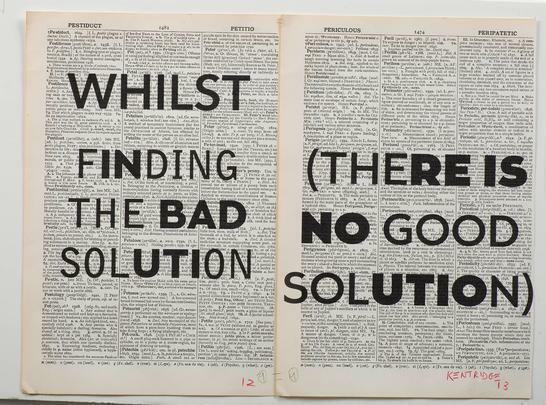 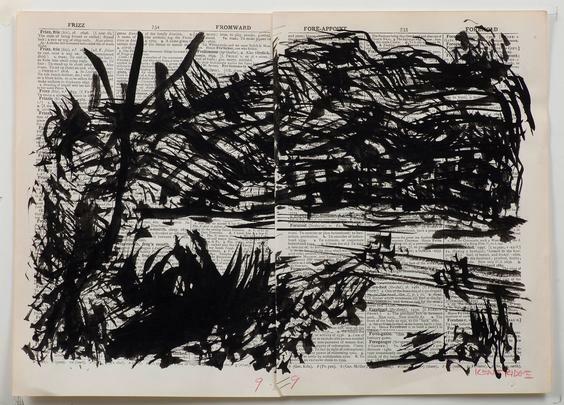 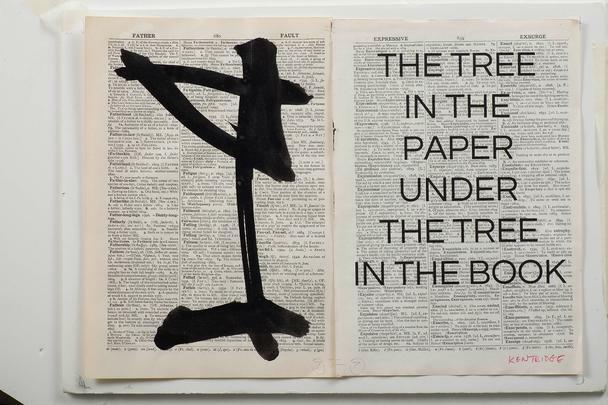 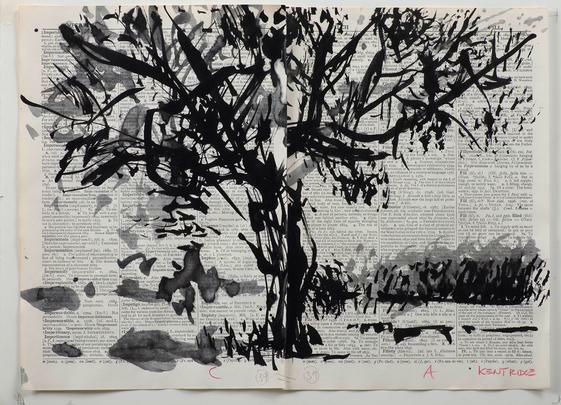 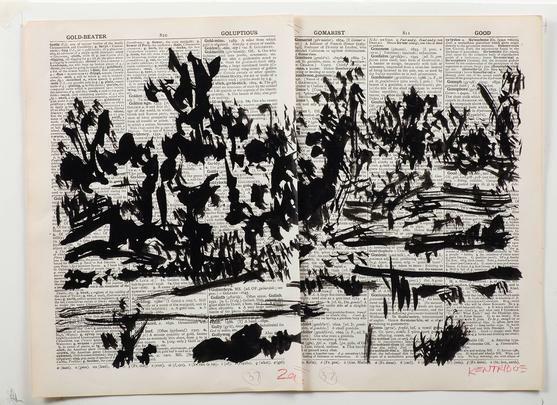 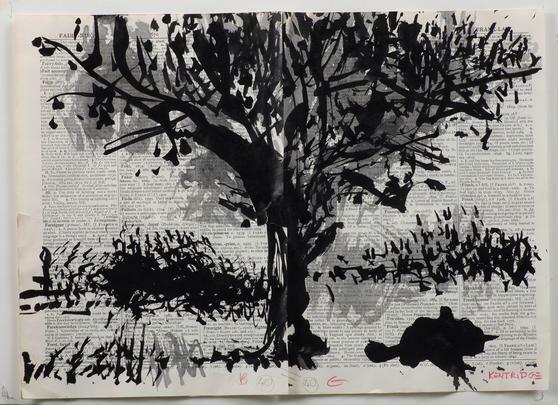 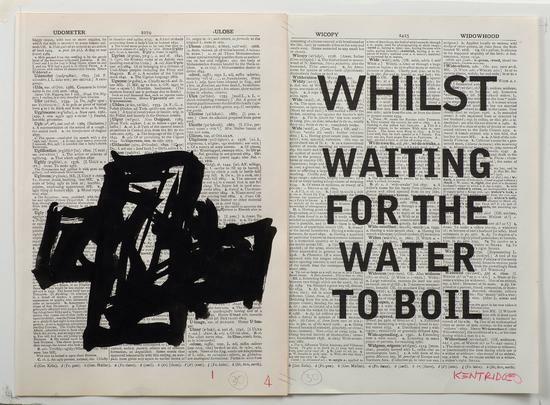 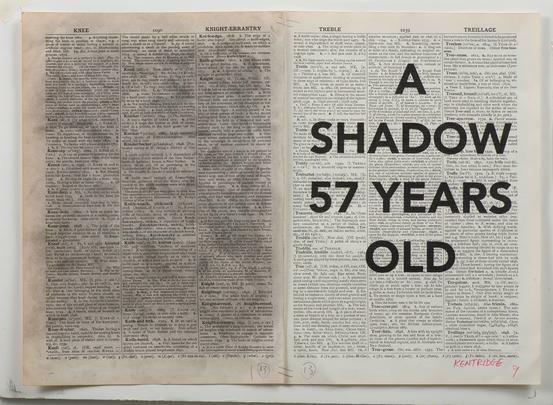 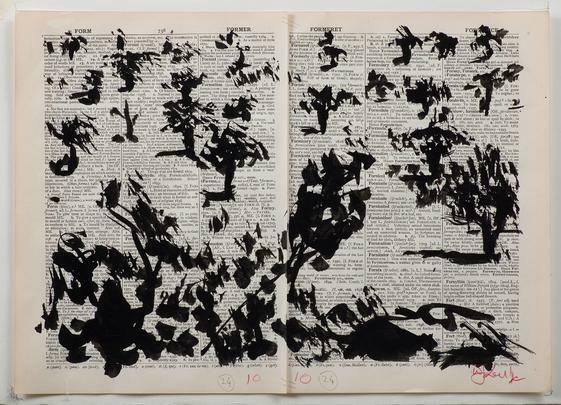 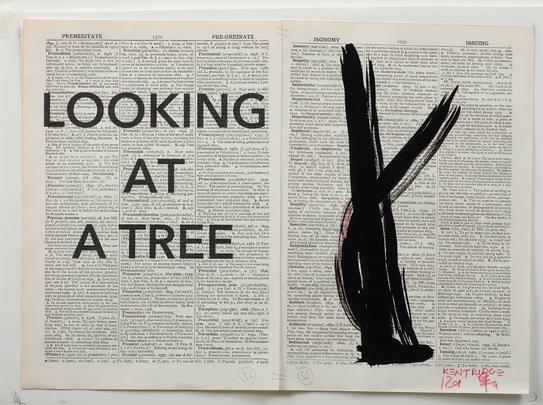 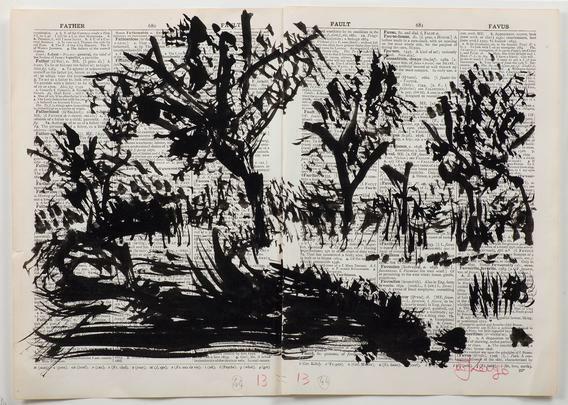 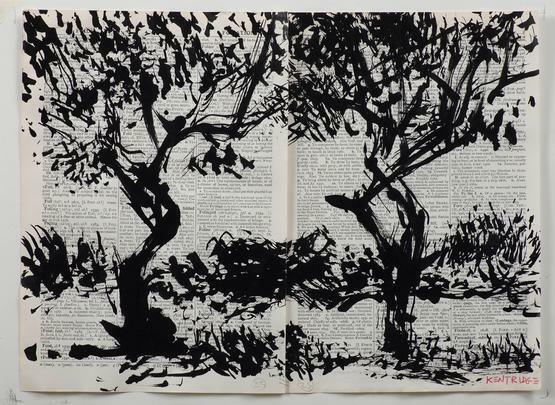 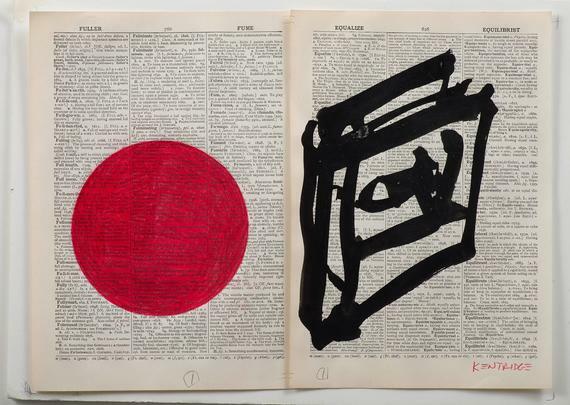 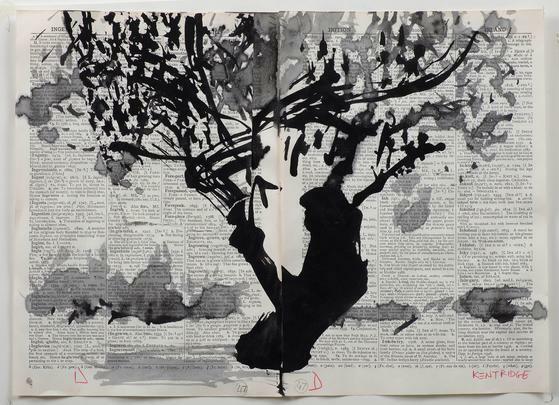 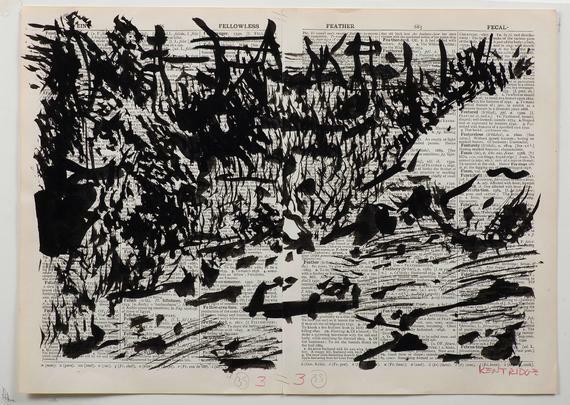 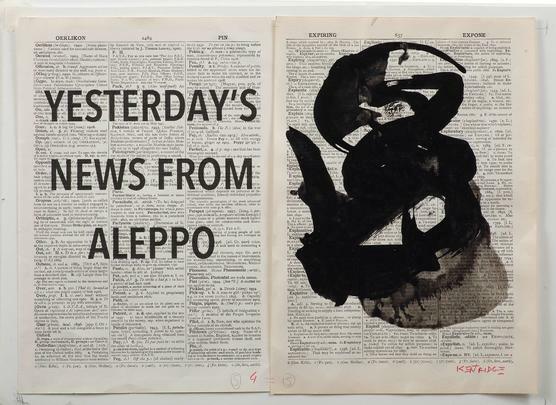 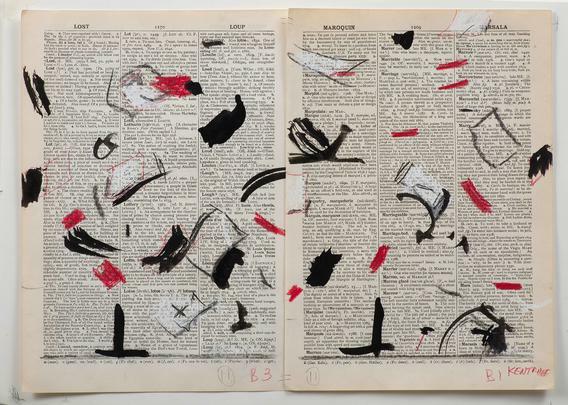 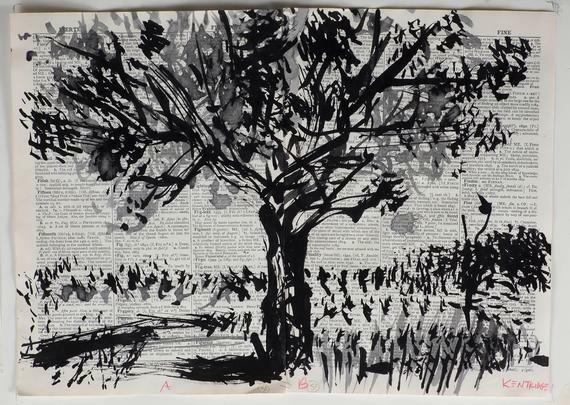 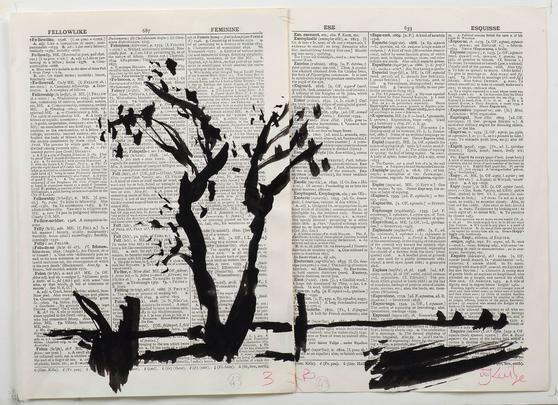 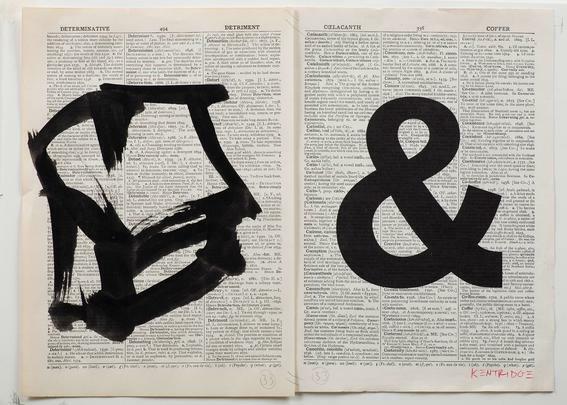 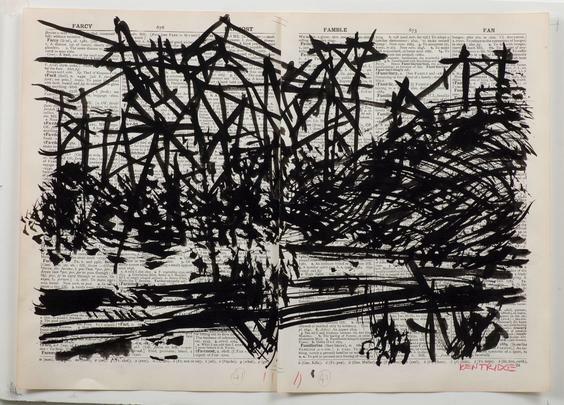 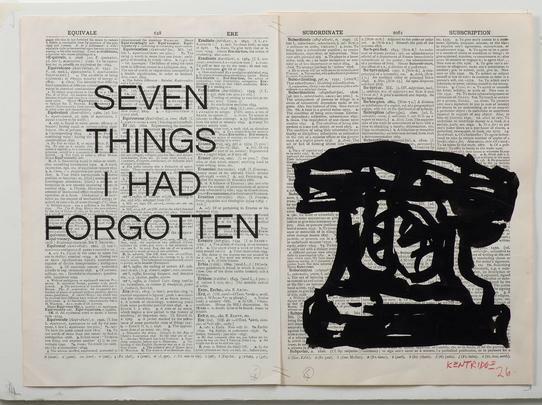 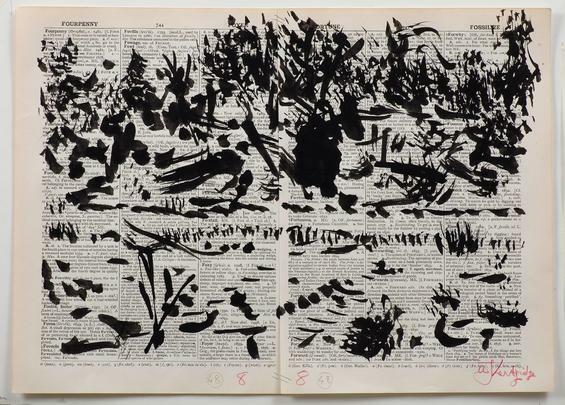 Marian Goodman Gallery is pleased to present a selection of recent work by William Kentridge for our 3rd floor project room space which will open October 27 and run through November 26, 2014. 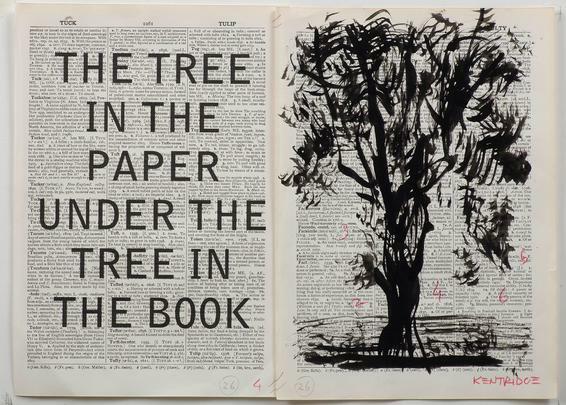 The exhibition is organized to run concurrently with the U.S. premiere of Paper Music: A Ciné Concert by William Kentridge and Philip Miller shown for one night only on October 27th, 2014 at Carnegie Hall. 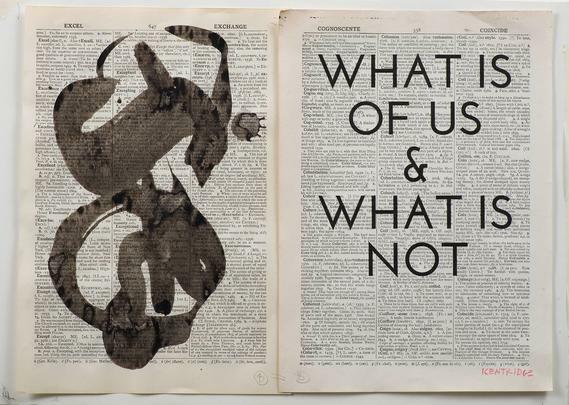 The concert is presented as a part of the program Ubuntu: Music and Arts of South Africa which begins October 8th and runs through November 5th, 2014. 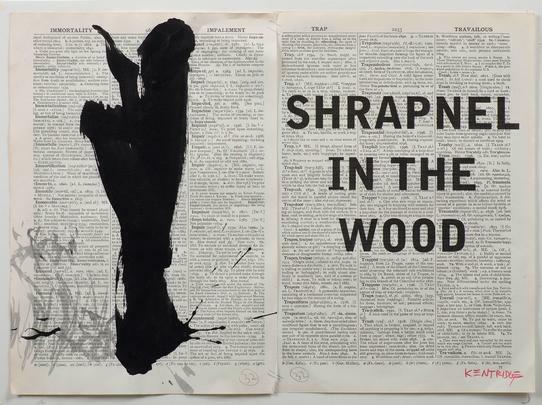 Paper Music features a selection of films by Kentridge with music by Miller accompanied by the voices of Joanna Dudley and Ann Masina. 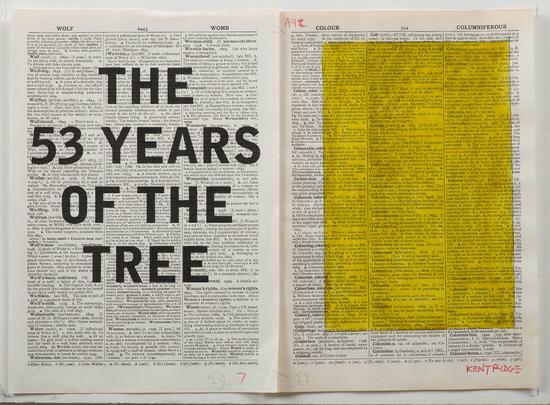 Collaborators since 1993, Miller recently worked with Kentridge on The Refusal of Time, presented at Documenta 13 in Kassel (2012). 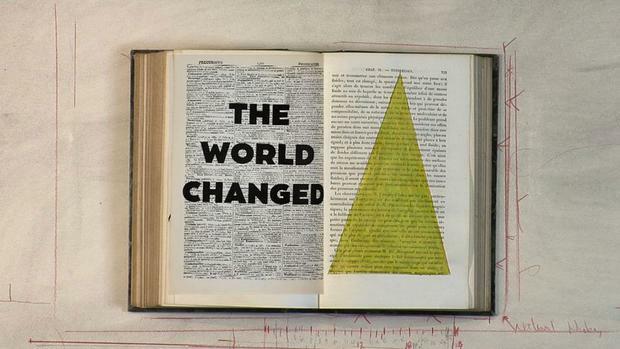 Paper Music was first presented at the Bargello Museum in Florence, Italy this past September. 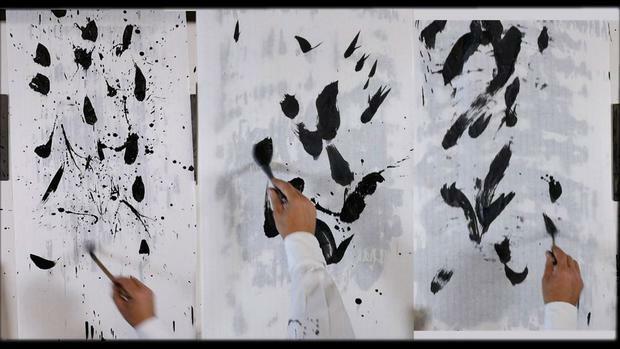 Two new films from Paper Music will be projected in the viewing room - Emergency and Trio for 4 Hands (2014). 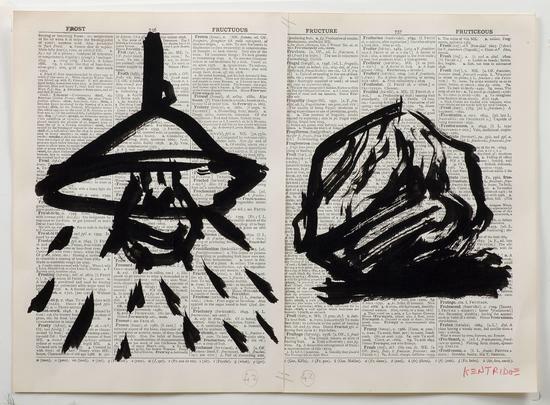 Within the gallery space are drawings from the two films. 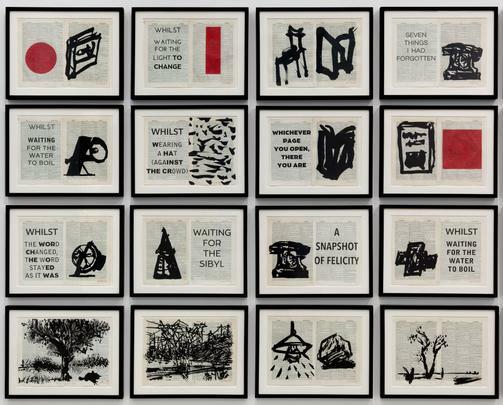 On the north wall hang fifty-two small framed works displayed in a grid. 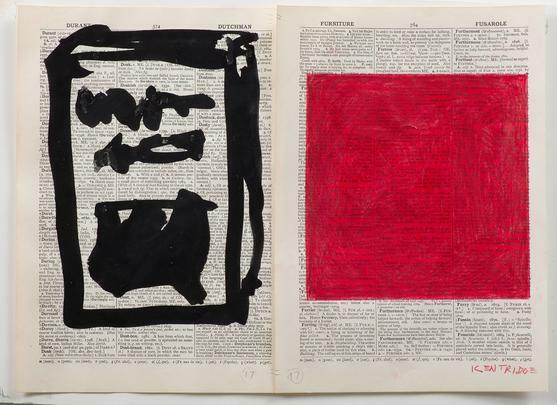 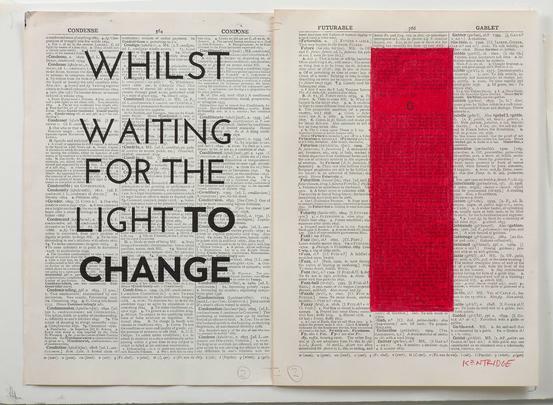 Each frame consists of two drawings made from India ink and red pencil on paper sourced from old dictionaries. 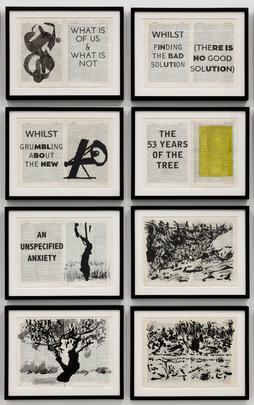 Some of these drawings can be seen in Emergency while others were used to create the artist’s new flip book, 2nd Hand Reading, a deluxe edition published recently by Fourthwall Books (2014). 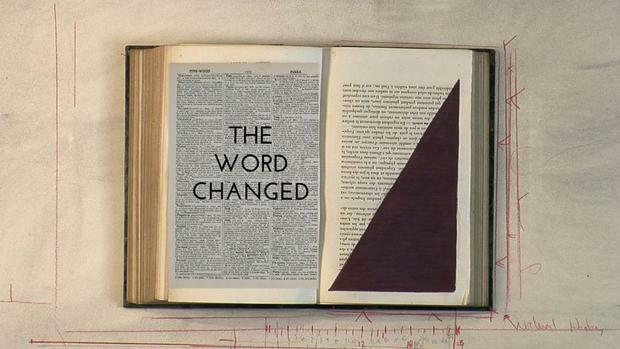 The flip book will also be available to view at the desk. 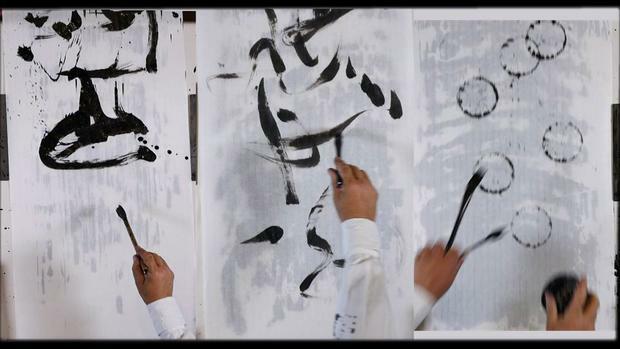 On the east wall hangs a series of long narrow strips of Japanese rice paper, pinned alongside each other with calligraphic type ink markings on them. 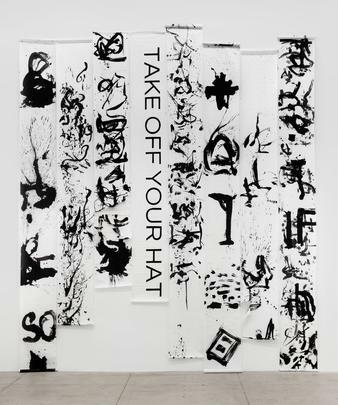 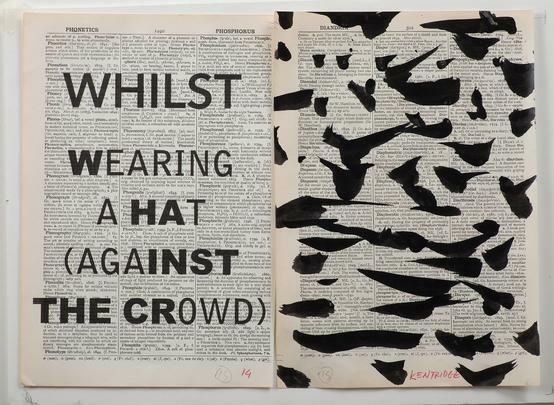 Titled Take off Your Hat (2014), this work was created in the context of Trio for 4 Hands. 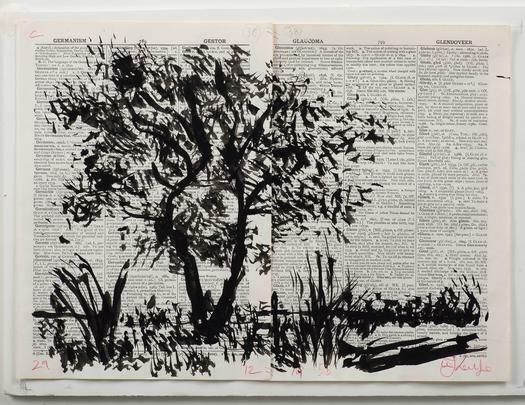 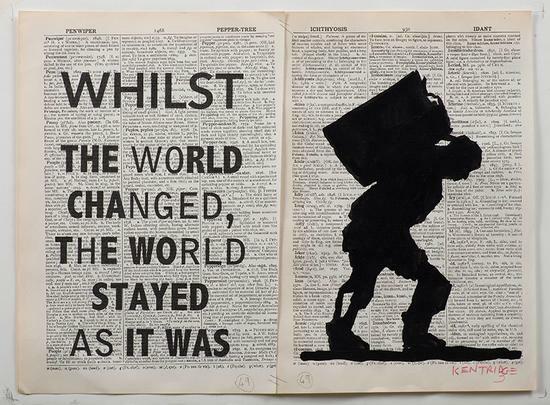 William Kentridge’s first large-scale solo exhibition in South America, titled Fortuna, has been travelling since October 2012, and will continue into Mexico next year. 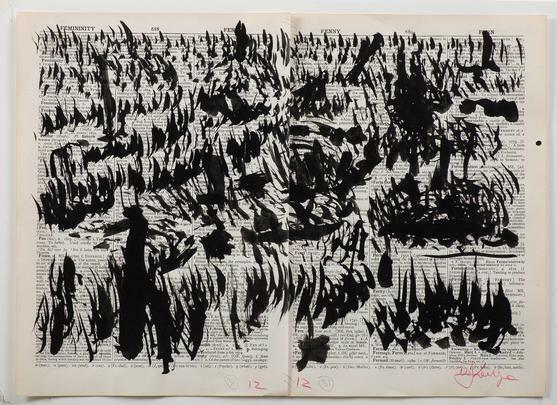 Originating at the Instituto Moreira Salles (IMS) in Rio, it is currently on view at the Museo del Banco de la Republica, Bogota, Colombia through November. 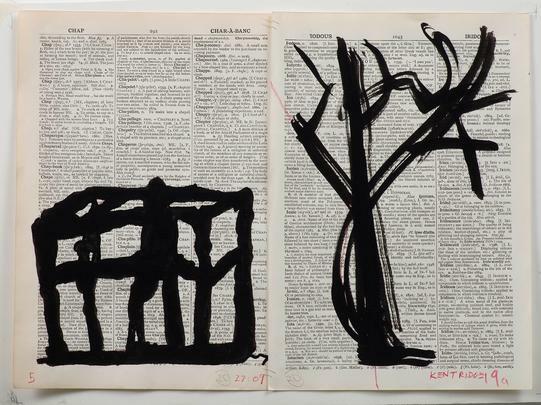 Another recent musical project, Winterreise, will have its New York premiere on November 11th at Lincoln Center in New York as part of the White Light Festival (October 7 – November 11, 2014). 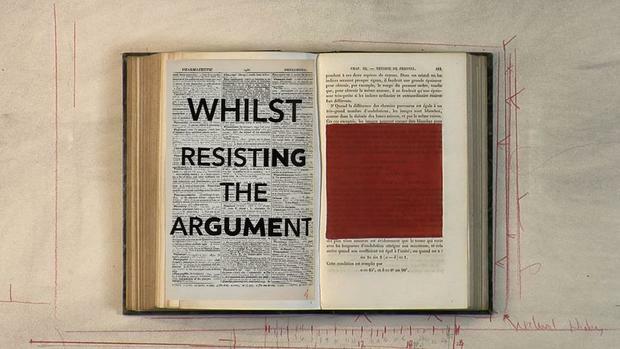 In the summer of 2012, The Refusal of Time, a 5-channel video installation with complex soundscape by Philip Miller and a breathing machine, was first presented at Documenta (13) in Kassel, Germany. 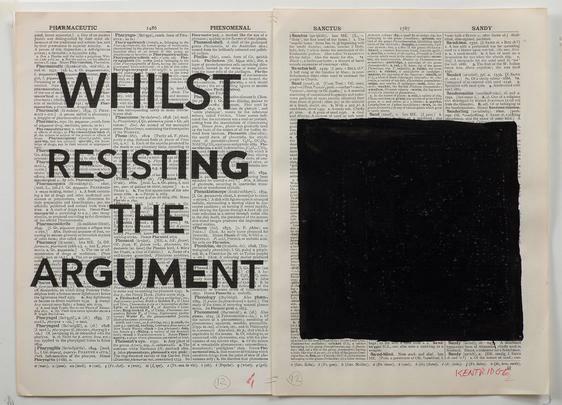 Within the past year The Refusal of Time has been exhibited at such institutions as the Espoo Museum of Modern Art, Espoo, Finland, the ICA Boston, the Metropolitan Museum of Art, New York and City Gallery Wellington, New Zealand. 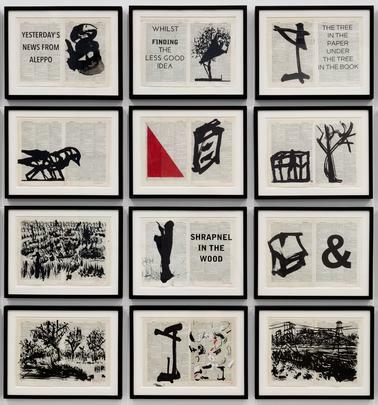 Other recent projects include the distinguished Charles Eliot Norton lectures at Harvard University which William Kentridge was invited to deliver in the Spring of 2012, and for which he was in residence at Harvard that year. 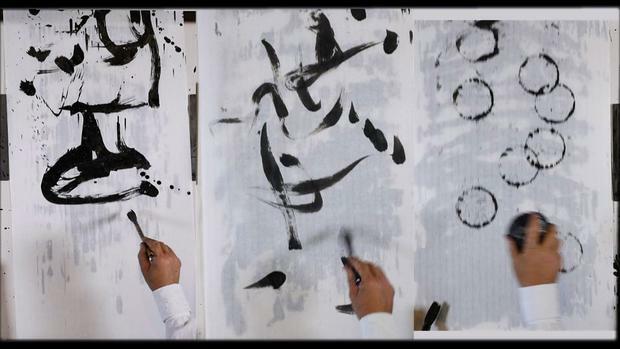 The publication of the lectures, Six Drawing Lessons, has recently been released by Harvard University Press (2014).